An unforgettable view, that one that welcomed me last March on the megalithic site of Callanish, here on the Outer Hebrides. 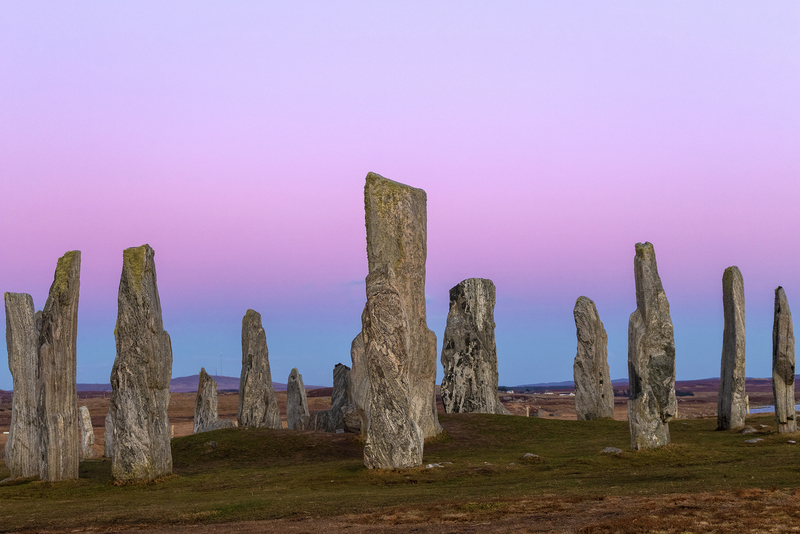 A vibrant and intense Belt of Venus created the perfect frame to image the ancient standing stones circle, almost 5000 years old! A soft violet band above a colder bluish one, which shows at every sunset, and every sunrise, the shadow of our very planet projected on its atmosphere! The wonders of our little place in the galaxy!